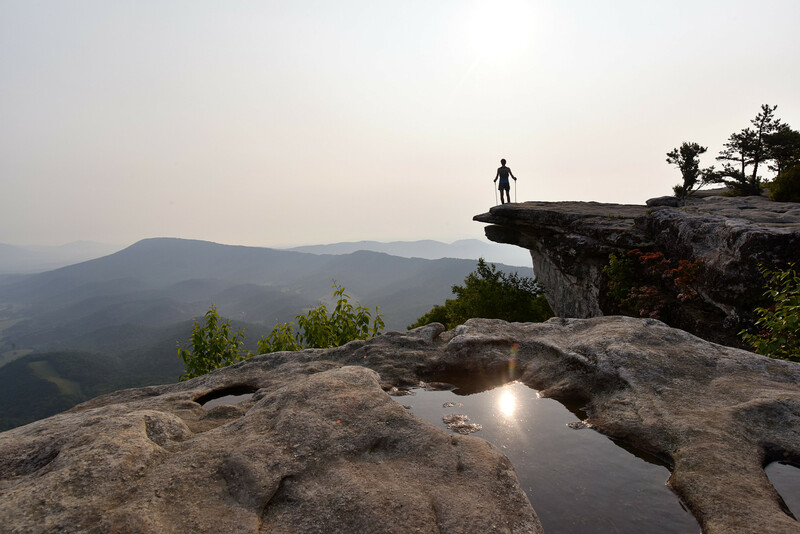 BRO-TV: Hiker Life from Blue Ridge Outdoors on Vimeo. The history of the Appalachian Trail is lined with legendary characters who either completed or attempted to complete an end-to end traverse known as a thru-hike. Each year, thousands of hikers attempt a thru-hike. But only one in four make it all the way. The first person to ever traverse the entire Appalachian Trail from end to sprawling end may have been the first person to attempt or even conceive of such a feat. Amazingly, he pulled it off, becoming the first person to complete an uninterrupted trek of the entire trail after 124 days on a grueling incarnation of the modern A.T. Even more impressive, he did it in 1948 when canvas slacks passed for top-of-the-line outdoor gear and the term ‘backpacking’ didn’t exist. 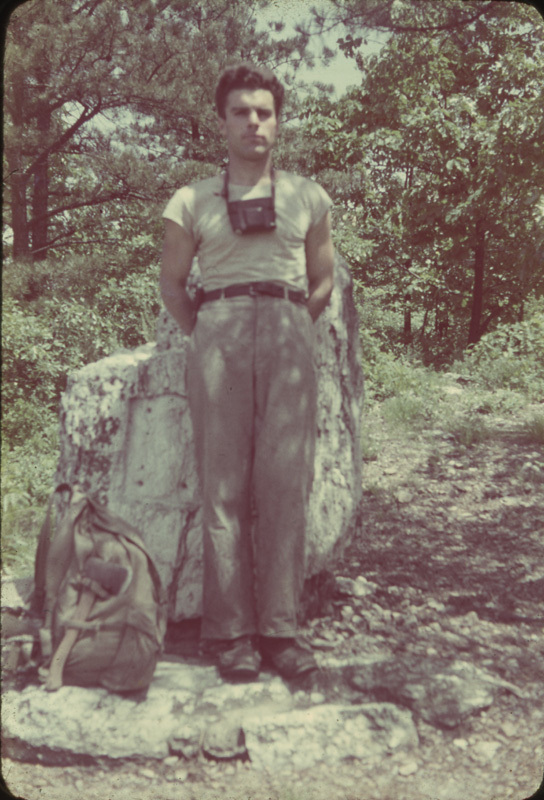 Put simply, Earl Shaffer was roughing it in a sense that today’s thru-hikers, often armed with Gore-Tex and GPS enabled smartphones powered by solar chargers, couldn’t possibly comprehend. He hiked northbound, departing from the A.T.’s first southern terminus atop Georgia’s Mount Oglethorpe. According to his New York Times obituary, published in 2002 after his death at the age of 83, Shaffer decided to attempt a continuous, end-to-end hike of the Appalachian Trail after reading a magazine article in 1947. So Shaffer decided to become the first. He mailed home his tent early on in his journey, reasoning that a rain fly could just as easily serve the same purpose. At one point he misplaced his maps and was forced to rely on his bushwhacking, route finding, and orienteering skills. Few have described Shaffer’s plight during that historic first thru-hike better than A Walk in the Woods author Bill Bryson. Despite the insurmountable odds cited by Bryson, Shaffer averaged 16.5 miles a day and completed the entire A.T. in only 124 days. That’s about four months on the trail. According to the Appalachian Trail Conservancy, the average thru-hiker of today requires five to seven months to reach Katahdin. Shaffer, or ‘The Crazy One” as he was known on the trail, undoubtedly paved the way for the next seven decades of hikers that would follow in his footsteps. But he didn’t stop there. He hiked the trail once again in 1965 at the age of 46, this time starting at Katahdin and finishing in the south, all the while shaving 25 days off his original A.T. time. Then, in 1998, at age 79, Earl Shaffer completed his final A.T. journey in just 174 days, a little under six months. Emma Gatewood was the first woman to ever complete a solo thru-hike of the Appalachian Trail in 1955, and, like Earl Shaffer, she did it when canvas tents and Keds tennis shoes passed for outdoor gear. In fact, Gatewood was renowned for her impressive lack of reliance on the items that passed for hiking gear at the time. All she needed to complete her historic thru-hike were several pairs of sneakers, an old shower curtain which she used as a rudimentary shelter, a raincoat, an army blanket, a tin cup, and a first aid kit—all of which she stored in a homemade denim bag that usually stayed perched atop her left shoulder. Gatewood would go on to hike the trail two more times before she died in 1973 of a heart attack. 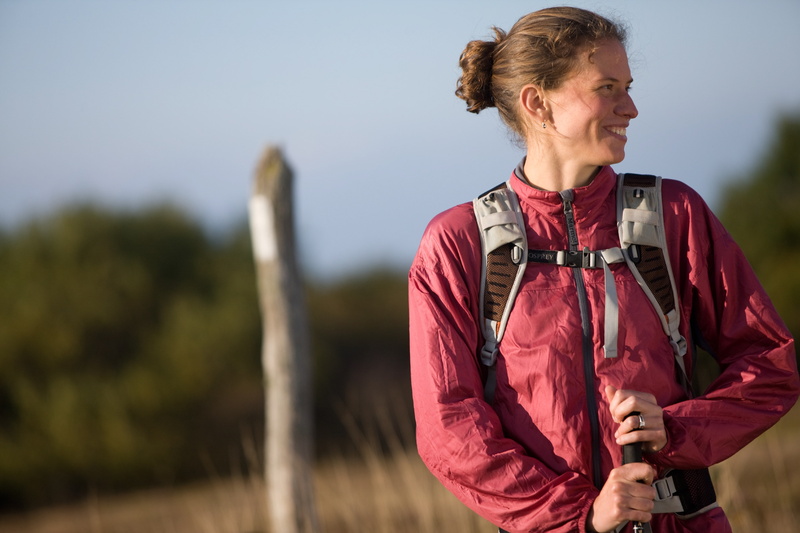 One of the most notorious modern-day thru-hikers is long-time Blue Ridge Outdoors contributor and Hendersonville, N.C., native Jennifer Pharr Davis. On 2011, she powered through severe shin splints, debilitating blisters, and 17-hour days on the trail to complete an end-to-end AT thru-hike in just 46 days, 11 hours, and 20 minutes. The achievement earned her the all-time speed record for a supported AT thru-hike at the time and made her the first woman to ever hold the title. Prior to setting the record, Pharr Davis had already hiked the entire length of the Appalachian Trail on two separate occasions, once in 2005 as a traditional thru-hiker, and again in 2008, this time with record-setting ambitions. Though she came up short of the all-time record on her second attempt, completing the trail in a wildly impressive 57 days, she still managed to earn the women’s record. But for JPD, the female record wasn’t enough. “I walked down Springer Mountain knowing that I had not used all my energy reserves,” she later wrote. “In retrospect, I realized that I had put limitations on myself throughout the journey. “For the most part, I was only willing to hike during daylight hours and I stopped at dusk, even when my body felt that it could keep going. And, I was even more disappointed when I realized that I had set limitations on myself based on the fact that I was a woman. I bought into the idea that men are faster and stronger than women and that a woman should consider herself fortunate to be within 10 days of the men’s record. 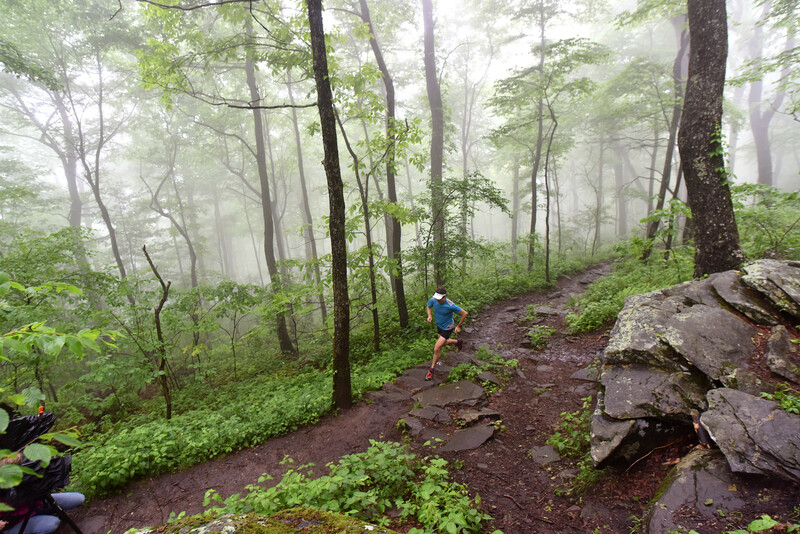 In August of 2013, a 32-year-old ultra runner and experienced thru-hiker arrived atop Springer Mountain after a grueling after a grueling 58 days on the trail. Like Jennifer Pharr Davis before him, he was basking in the glory of a record-setting achievement. But Matt Kirk had set a different kind of record. 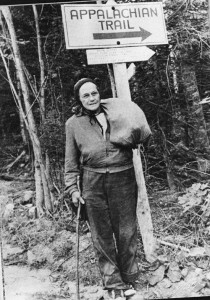 Unlike Pharr Davis, who credits her husband’s off-trail assistance for much of her success, Kirk had had no outside support during his 58 day, 9 hour and 38 minute journey from Maine to Georgia, a fact that qualified him for a different type of record known as the Self-Supported Appalachian Trail Record. In a 2013 interview in Blue Ridge Outdoor Magazine Kirk said that he learned of the self-supported record during his first AT thru-hike in 2001 when he was just 20 years old. Give it a shot he did, and after averaging 37.4 miles per day, he became the first backpack toting, solo thru-hiker to complete the trail in less than 60 consecutive days in over two decades. 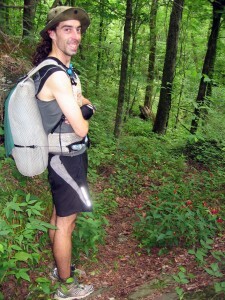 Perhaps the most infamous of all the AT record-setters is current supported thru-hike record holder Scott Jurek. Back in May of 2015 Jurek grabbed and held the attention of the entire Appalachian Trail community and onlookers around the world when he announced his intention best Jennifer Pharr Davis’ time of 46 days, 11 hours, and 20 minutes. Jurek’s reputation as one of the world’s all-time best ultra-runners and his role in the plot of Christopher McDougall’s bestselling book Born to Run preceded him, so when he announced his record-setting ambitions and set off to achieve them, millions of eyes shifted in his direction. Like so many things do these days, it all played out in real time via social media channels like Instagram and Facebook. On his first day Jurek logged an astonishing 53.9 miles, traveling from the southern terminus atop Springer Mountain to Unicoi Gap in 13 hours 16 minutes and 42 seconds. He continued to cruise for several days, posting impressive times day in and day out until he encountered serious injury in the Smoky Mountains of North Carolina. 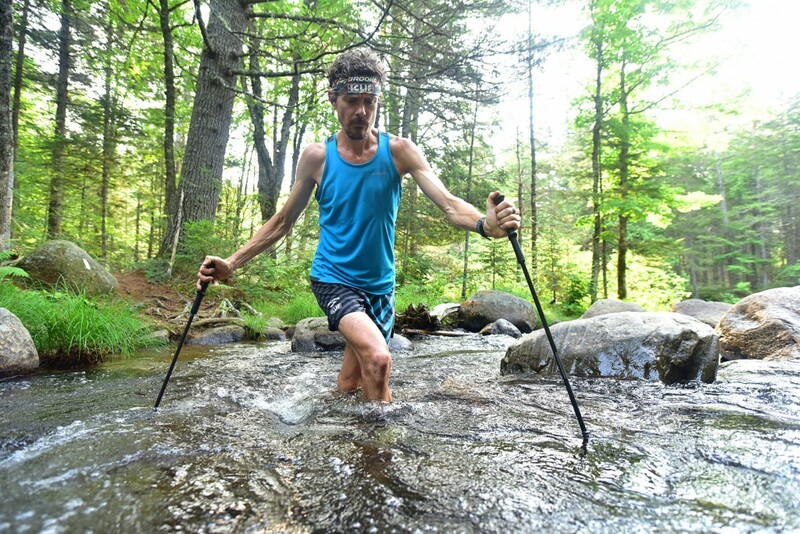 It was around this time that Will Harlan, editor in chief of Blue Ridge Outdoors, caught up with Jurek on the A.T.
For many, it seemed unfathomable that an AT hiker could pull through with such a serious injury, but Scott Jurek isn’t just any hiker. He’s a world-class and world-renowned endurance athlete. Not only did he power through the injuries, sustained early on when so much treacherous trail lay spread out before him, but he somehow maintained his record-setting pace. And when he triumphantly summited Katahdin on July 12, 2015 at 2:03 p.m. ET he became the all-time record holdy by a slim margin of 3 hours and 13 minutes. Travis Hall is the digital editor at Blue Ridge Outdoors and an occasional contributor to the print magazine. Originally from the flatlands of the Midwest, Travis discovered his love for mountains while living and working in Yellowstone National Park. Now he explores the Blue Ridge from his home base in Asheville, North Carolina.